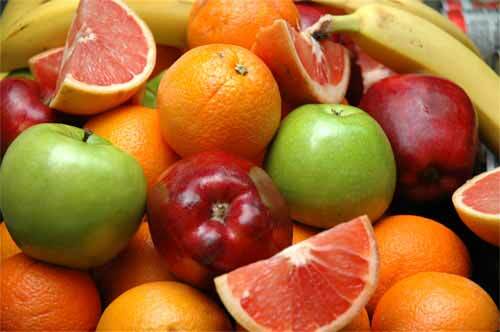 Fruits are the natural sources to provide essential vitamins for a healthy skin. Essential vitamins for a healthy skin are Vitamin A, B complex, C and E. Instead of using artificial creams and lotions on skin, try to have at least one fruit per day. 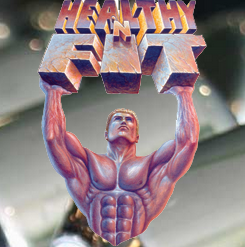 It also maintains your overall health. Only if your health is good, then only you can have a healthy skin and glowing face! Drink plenty of water to avoid dehydration of your skin which leads to aging. Here are some healthy fruits which helps you to have glowing skin! All kind of Apples contains many essential elements to prevent skin damage, wrinkles and aging effects. You can eat them raw or can be applied on your face by making it like a paste. Apple juice can added to your bathing to soften your skin and it also controls dandruff, promotes hair growth! Oranges contains vitamin C - the most required vitamin for skin healing, Vitamin A - to strengthen the upper layer of skin which prevents acne and effective healing of wounds, Vitamin B complex - to promotes blood supply to skin and antioxidants found in oranges aids in preventing skin cancer. Face mask made of orange peels to treat pimples, acne, black spots etc. Lemons contains many vitamins like C, B complex and phosphorus. Lemon face mask to cleanse bacteria on your skin and keeps fresh, to treat acne, vitamin C aids in curing of any skin damages like burns and wounds, adding on bathing prevents chicken pox and skin allergies. Cucumber also includes all necessary vitamins and nutrients for glowing skin. Pieces of cucumber on face to treat pimples, black heads, wrinkles, avoid dehydration and refresh the skin tone. Avocado can moisture a dry skin. Once in a week rip off the pulp and apply it directly on your face for 5-10 min and wash it after with warm water. It reduces the sign of aging for dry skins, to treat scars and sun damage. It is also available as Avocado oil in stores. Papayas are rich in vitamin C,A and contains papain which promotes new skin cells regeneration, along with all essential nutrients to aid skin. Papayas can be eaten raw or can be used as face mask for 5-10 min and wash it after with warm water. Repeat it two times per week. Pomegranates contains more antioxidants which strengthens the epidermis and dermis layer of the skin, and protects it from acne, blackheads, and cell damages. A must eat fruit for healthy skin or it can be made as juice, rinse your face with that and let it dry for 5-10 min and wash it with cold water once in a week. Strawberries are rich in vitamin A and E which helps in protecting skin damage. It also contains ellagic acids which protects skin from UV rays and acts as anti aging agent. It can eaten directly or mashed and used as face mask. All berries like raspberries, blueberries, dark berries, blackberries are good for skin health. Above all fruits not only helps in skin health, but also helps in overall health. Try to Include natural green vegetables in your daily foods which also aids skin indirectly! Ηello eveгybody, here eѵery peгson is shагing suсh knoω-how, thеrefore it's pleasant to read this web site, and I used to visit this weblog everyday.